The reception desk was made remodeled from the previous desk & re-sprayed. 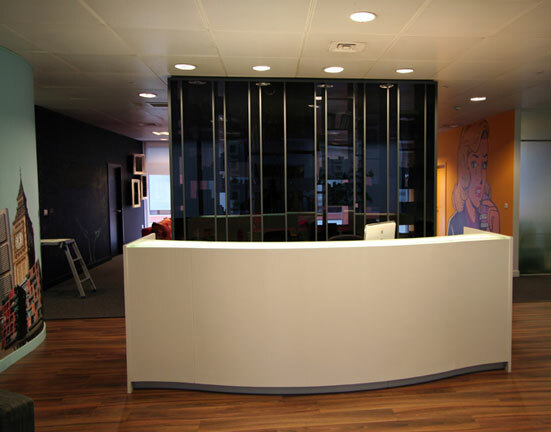 The black bookcase was doubled sided acting as a partition between the reception area and the pool table area and was made from spray finished MDF backing on the reception side. The bar cabinet & shelves was made from high gloss spray finished MDF. The bi folding doors were made to create moveable partitions between rooms, and were made from Timber & etched glass and the second set were made from spray finished door blanks.